Dr. Rainer Picha, M.D., is a cardiologist who has been Assistant Director at the State Hospital of Graz, Austria • He received several national and international training in Maharishi Vedic Medicine and since 1996 he became a full time researcher at the Maharishi Vedic University in Holland, where he has been able to work together with Maharaja Adhiraj Rajaraam and leading doctors of India’s traditional Vedic Health Care System • In 2001 Maharaja Adhiraj Rajaraam has selected him as his minister of health of the GCWP with the task to transform the present health care system. He Founded the first Maharishi Ayurveda Health Center in Austria offering Panchakarma treatments • From 1989 to 1992 he conducted the postgraduate training courses in Maharishi Ayurveda for medical doctors from the whole of Europe at the Maharishi Vedic University in Holland • In 1996 he became member of the research team at Maharishi University of Management in Vlodrop, Holland • Since 2006 Deputy Minister of Health of the Global Country of World Peace. Dr. Robert Keith Wallace, Ph. D., is recognized as the pioneering researcher in the neurophysiology of higher states of consciousness • His research has been published in many journals including Scientific American and The American Journal of Physiology. After receiving his Ph.D. in physiology in 1970 at UCLA, he did postdoctoral research at Harvard Medical School • Dr. Wallace is the author of two books, The Neurophysiology of Enlightenment and The Physiology of Consciousness, and has lectured extensively in over 50 countries around the world. Robert H. Schneider, M.D., F.A.C.C., is a physician, scientist, educator, and one of the world’s leading authorities on scientific, natural approaches for heart disease, high blood pressure, stress and other cardiovascular risk factors. Dr. Schneider is board-certified in preventive medicine, is a certified specialist in clinical hypertension and a Fellow of the American College of Cardiology • Currently, Dr. Schneider is the director of the NIH-funded Institute for Natural Medicine and Prevention and professor of physiology and health at Maharishi University of Management, in Fairfield, IA. Dr. Lonsdorf, M.D., received her M.D. from Johns Hopkins School of Medicine and did her post- graduate training at Stanford University • From 1987 to 2000 she was the Medical Director of the Maharishi Vedic Medical Center in Washington, D.C., where she treated over 5,000 patients using the techniques of Maharishi Ayurveda • Dr. Lonsdorf has trained extensively in India, the United States, and Europe and has worked with some of the world’s leading Ayurvedic physicians. Dr. Morehead, Ph. D., has nearly two decades of experience in developing and teaching courses in Maharishi Ayurveda and Vedic Science • Courses taught by Dr. Morehead include: Pulse Reading, Yoga Asanas, Diet, Digestion, and Nutrition • He has been a teacher of the Transcendental Meditation programme since 1973. 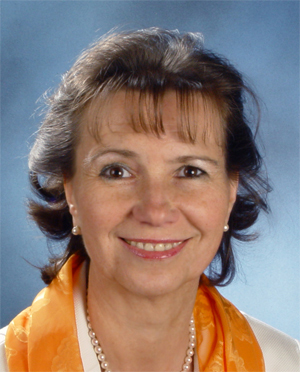 Dr. Karin Pirc, M.D., and psychologist, has 24 years experience in Maharishi Ayurveda especially in the field of Panchakarma • She is the medical director of the renowned Maharishi Ayurveda Clinic in Bad Ems and the author of several Ayurveda books. Lothar Pirc founded the Maharishi Ayurveda Health Centre in Bad Ems, Germany, in 1992 • It is one of the most successful Ayurveda Clinics in the western world, beautifully located in the well-known spa (health resort) of Bad Ems, in the former residential palace of the German Emperor, Kaiser Wilhelm I • By now more than 15 000 guests have followed the ayur-vedic Panchakarma treatment there • The Centre is a unique state-recognized private clinic with hospital status and has more than 70 employees • Lothar Pirc and his clinic have received many prestigious national and international awards • Mr. Pirc has also been hired as a consultant in establishing many new Maharishi Ayurveda Clinics in many parts of the world.